Growing grapes is such noble art, made by devotion and love for what the land can give. For five generations our vineyards have been handed down from father to son with the same love and passion. 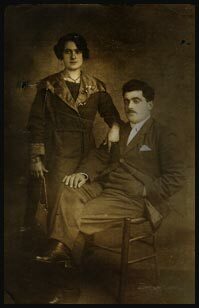 Those five generations, that love and devotion to our work, together with nature has given birth to our wines, our work of art. Simply love at first sight! 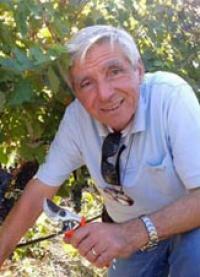 The Mastrodomenico family has grown grapes for five generations. They formerly supplied high quality fruit, known for being the best in the Vulture area, to big wineries, in and out of Basilicata. With the years the quantity increased: 2000, then 5000, and now we are up to 30.000 this year. A courageous choice taken on a difficult global economy. It has been a slow but constant evolution, always respecting ancient traditions and the environment. Graduating in Agricultural Sciences in 1972, Professor of Evaluation and Agricultural technology. 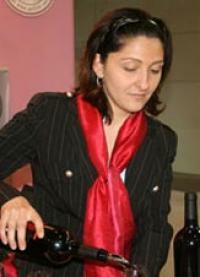 Enviable expertise in viticulture and enology. With determination, courage and passion for his work he started this adventure, finding in nature a faithful ally. An example for his children and his students. Just a myth! Woman with great character, teacher, she has always passed on to her students and her children the most important values of life: honesty, love and the courage to face any difficulty. Mom of this company and the family, nothing would be without her! Graduated in Engineering from "Politecnico di Torino" in 2005. Sommelier and in love with his land, he decides when the wine is ready to be bottled. 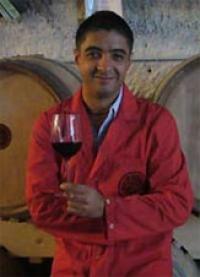 High energy person, he's responsible for relations with customers from all over the world, passing on his passion for wine and the values of this company. Graduated in Law in 2002 and specialized in administrative law in 2007. Deals with all accounting and administration while liaising with customers and suppliers. Our vineyards are located on a windy hill overlooking a breathtaking landscape of the slopes of Mount Vulture, an antique extinct volcano. 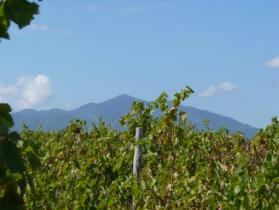 The heart of our vineyards, boast a soil of tuffo and windy weather, which guarantee high quality grapes every year. No vintage is the same here and we won't do anything to change that; nature must be respected. Not so difficult in such a beautiful terroir, is it? Aglianico is a late ripening variety and requires the utmost care. Usually harvested in October, it's brought to our cellar soon after for processing. Our cellar is a small jewel, carved into the rock, with a perfect balance of temperature and humidity every month. This is fantastic to age wines! Visiting the cellar, people are often amazed; as we don’t have much room for special machinery, many processes are carried out manually. Bottling, corking, labeling, everything! In sum, tradition rules! Before tasting the wine take a moment to contemplate what's in the glass. You won’t just notice aromas and flavours, but also the story of life told through agricultural passion and labour. Our family has lived this way for five generations. Here on the slopes of Monte Vulture, an extinct, antique volcano, you will find the perfect conditions for Aglianico, a real jewel, the flagship of Southern Italy's rebirth! LIKI, the ancient people of Greece, gave birth to the story of Aglianico in Basilicata. 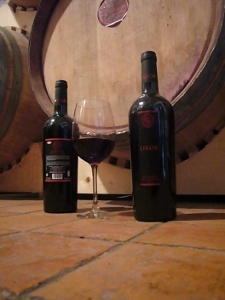 LIKOS comes from pure high quality Aglianico grapes, derived solely from our vineyards. This is a wine of great structure, with an ageing potential that only a few of the world’s wines possess. A powerful, harmonious and elegant wine. A masterpiece! Mos is a Latin synonym referring to origin and tradition. A stylish intriguing wine made from 100% Aglianico grapes derived solely from our vineyards. Fresh and medium bodied, Mòs is great to pair with most meat based Italian food! A new jewel, made in very limited quantity! Shekàr comes from a particular section of our vineyard with a very low yield per hectare, where grapes wither on the vine. A rare, meditative wine to pair with dessert and chocolate, it is the first Italian wine fully traced by Farm to Fork project! Consumers must know what they're about to eat and drink. Food and beverage products counterfiting is a sad reality causing high loss of profits and trust for companies and here Farm To Fork (F2F) comes into play! Vigne Mastrodomenico is the first italian winery who decided to join an European consortium who developed a pilot to trace all our products from Vineyards to the bottle. It's a challenging project, funded by European Union and involving many partners - Universities and Companies - and several producers. Our winery has been selected because of our variegated traceability needs (different quality of the wine depending on the soil parameters), the high quality of our final products (justifying the investment) and our very strong motivation. Starting from 2011 vintage, the consumer will be able through a QR code to read data such as Date of harvest, how long the wine aged in wood, when it was bottled, what is the track made by grapes from vineyards to the cellar. 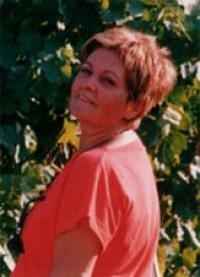 And for demanding consumers, also the vintage history through all pedoclimatic conditions priori to the harvest. All data are collected by a Wireless sensors networks spread all around the vineyards and the cellar. We're proud to use modern technology to communicate that our wines are made with genuineness! Barile is a small village located on the slopes of Monte Vulture, an antique but extinct volcano. It is an important member of key, Italian culinary institutions such as "Città del Vino" and "Città dell'Olio". A former Greek colony, when the famous Aglianico grape variety was imported and then occupied by the Arbëreshë, an ancient people from Albania from whom we took many traditions, notably our language. It's a wonderful terroir, full of scents, flavours, traditions and hospitality. Come to visit us, we'll never leave your mind or your heart!